Our dried pitted dates are intensely sweet and wonderfully chewy. A sacred fruit of the ancients, dates were considered a fruit of peace and prosperity. Pitted dates got their name from the Spanish missionaries who brought them when setting up California' missions, leaving them to flourish throughout the region. 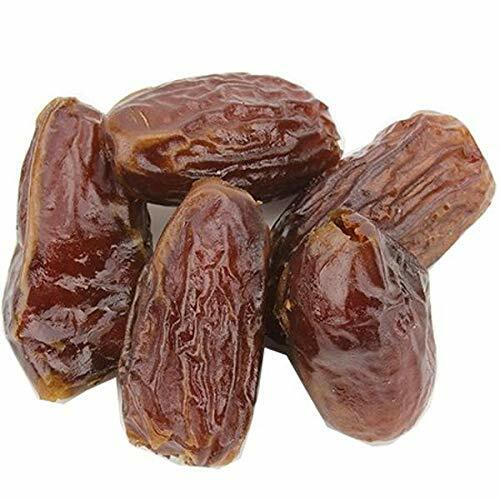 High in calcium and iron, one serving of dates also provides you with 20% of your daily dietary fiber. Bake them into fig bars and take them to work for a heathy, mid-day snack. Perfect high-energy snack for home and office. If you have any questions about this product by Bella Viva Orchards Dried Fruit, contact us by completing and submitting the form below. If you are looking for a specif part number, please include it with your message. Khadrawy & Halawy Combo - 2.5 Lbs.